Once a Missionary, Always a Missionary! Excitements turned into joy and laughter when missionaries from SWKC, SEKC and MWKC finally arrived in Woonam Church, Gwangju City last September 28-30. Thirty-five missionaries from the three conferences attended the first ever fused midterm retreat. The theme was “Journey with Christ” with the goal of having each missionary reflect on their spiritual journey, stressing that nothing is impossible when they only walk with Christ. The “Travelers” as they call themselves, were greatly blessed by the event. 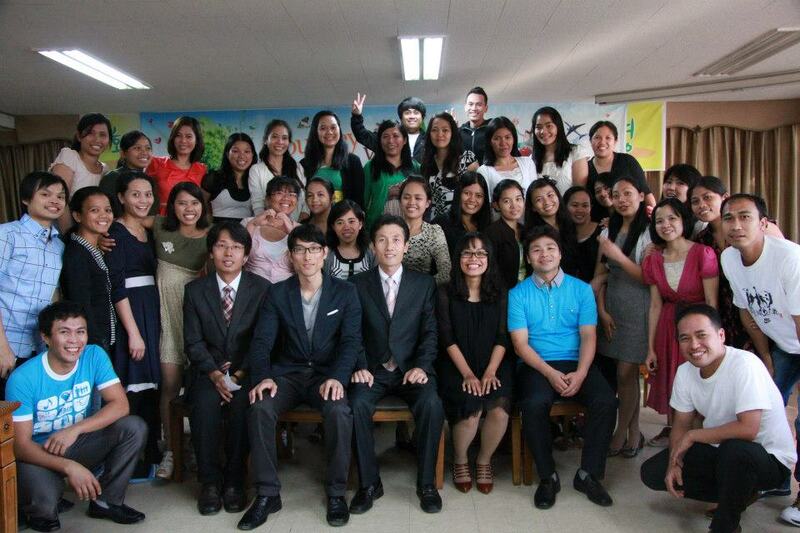 The message from God through pastor Lee Hyung Jin reassured them that “[God’s] grace is sufficient.” 2 Cor. 12:9. The foot washing and communion service uplifted their souls and had them reflect on Christ’s humility and love with the consciousness of Christ’s forgiveness. And the well-organized activity called “Journey to the Promised Land” rekindled the sense of faith in them that God does make miracles as He did during the Israelites’ journey. The Travelers then went introspective and retrospective when they studied Paul’s missionary journey during their GT (Godly Time) early in the morning. A few tearfully shared their life’s spiritual journey remembering how God picked and saved them from the dark pathways they once walked on. The Sabbath was well spent with the inspiring message about God’s faithfulness through Joseph’s life by Pastor Lee Hyung Jin; the testing of their knowledge of the Bible during the AY; and the powerful message on achieving christian perfection by the CV president, Darlyn Mae Gupit for the Sundown worship. With the presence of SWKC youth director, Pastor Lee Jung Hwan, and the 1000MM associate director, Pastor Lee Eun Sup, the Travelers felt so loved and special. The jaw-cracking laughs and enervating games during the social made the event even more memorable. All throughout the retreat, the Travelers never hungered for food for the body and nourishment for the soul because everything necessary was well given. Thanks to Pastor Lee Jung Hwan, Pastor Koo Chul Nam, Pastor Lee Gui Reum and Pastor Kong Sang Soo for the help and support; the representatives for leading and preparing the programs; and to God who made everything possible. The Travelers went back to their mission fields blessed, spirit-filled and inspired to raise the torch higher and continue to bring glory to our precious Redeemer. This entry was posted in Missionary Life. Bookmark the permalink. : a person undertaking a mission and especially a religious mission A missionary is a propagator of religion, often an evangelist or other representative of a religious community who works among those outside of that community. The English word "missionary" is derived from Latin, the equivalent of the Greek-derived word, "apostle". Annoyed? Take a Deep Breath.